Smartphones are essential tools for modern life, but they all suffer from one big problem - every so often you have to plug them in and charge them up. There’s nothing more satisfying knowing you can charge smartphones with just the sun, not worrying about carrying extra heavy batteries that have a shelf-life. It’s becoming more challenging with handsets demanding more and more precious battery life for their increasingly sophisticated features and whizzy graphics. Tired of having your smartphones run out of power half way through the day? Go Solar Gloves gives a great solution to more than double your iPhone or any other smartphones operating times with free solar energy. 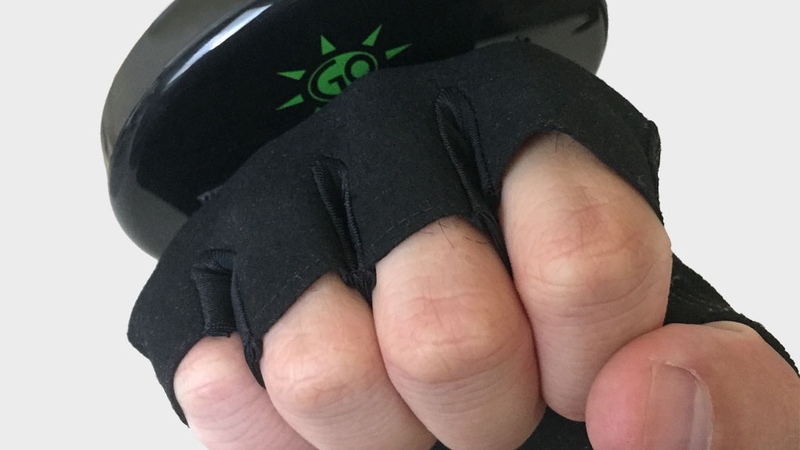 The Go Solar Gloves, the brainchild of Mark Fletcher and Nate Johnson based in Utah, is dedicated to creating portable electronic chargers that utilize renewable energy sources. 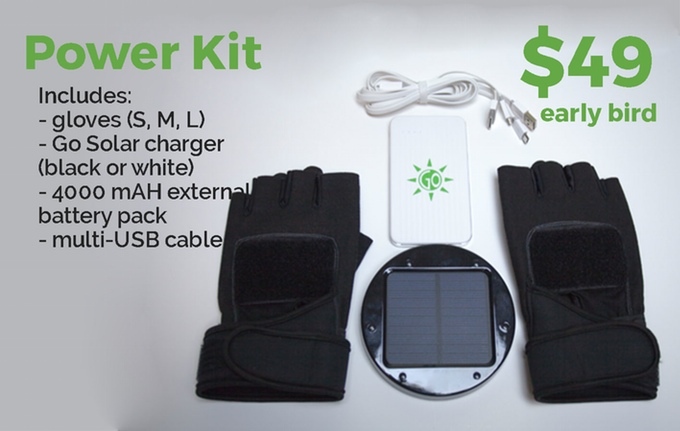 Go Solar Gloves has an attachable solar charger battery pack for each glove with a 5200 mAh battery. It has a .6W handy solar panel which gets power from the sun. 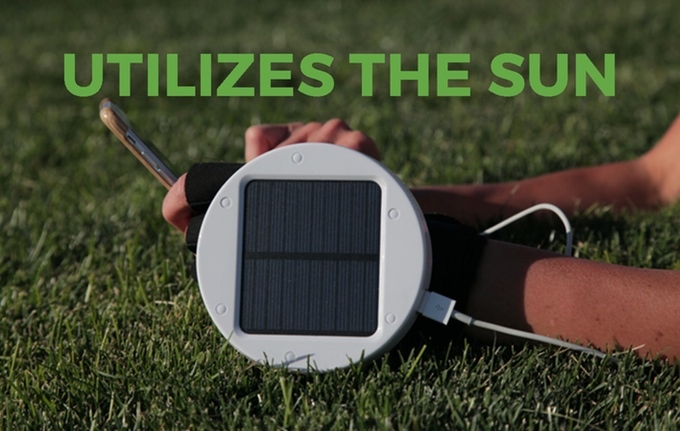 You need to do is plug-in Go Solar via USB cable and the battery can charge a smartphone from 0 to 100% multiple times. It takes less than 2 hours to charge an iPhone 6 from zero to full with the Go Solar charger. The battery pack needs about 8 hours of sunlight to charge to full capacity. You can charge your smartphones indoor when there is no sunlight via USB from any interior power outlet. The gloves are a made from a durable synthetic material and come in three sizes (S, M, L). You also get two USB charging cables. 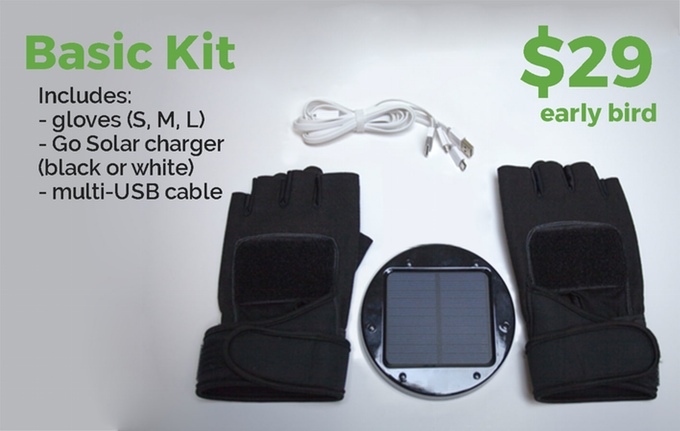 Kickstarter campaign of Go Solar Gloves is currently live for a goal of $ 10,000 and still 29 days to go. 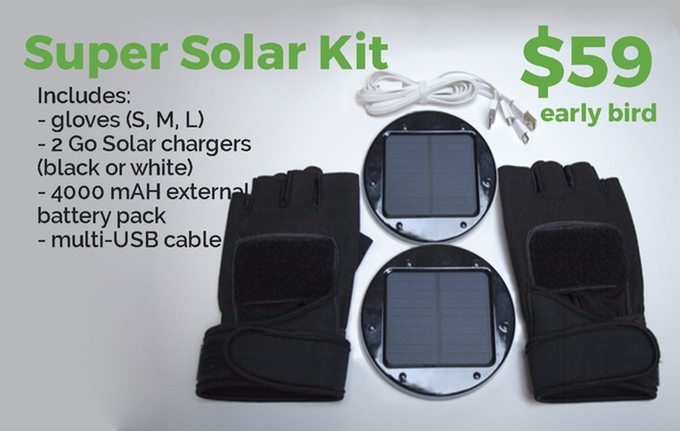 The early bird price of basic Go Solar Glove pack is $29, Power kit at $49 and super solar kit for only $69. The expected delivery date of Go Solar Gloves for all Kickstarter backers on this Christmas. Make sure that you receive one of the early bird special Go Solar Glove charging packs!